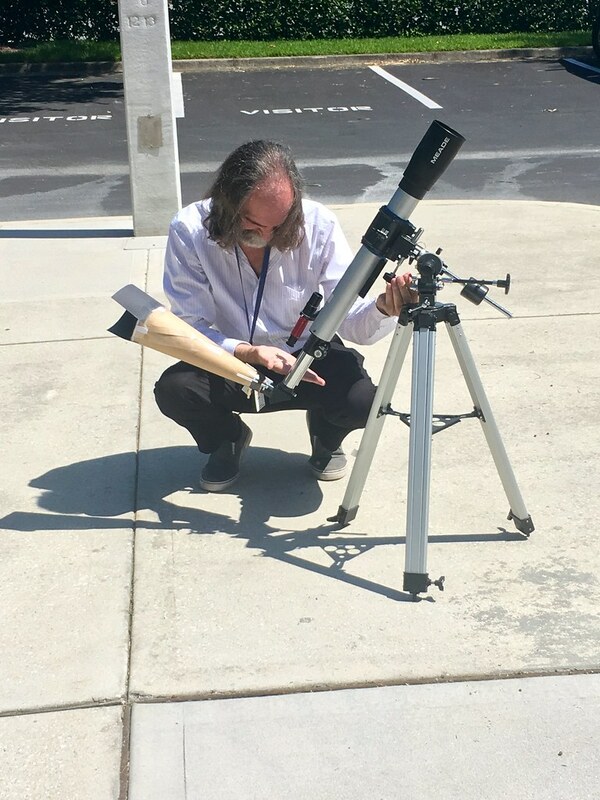 A coworker brought his telescope to the office to catch a glimpse of Mercury transiting the sun. 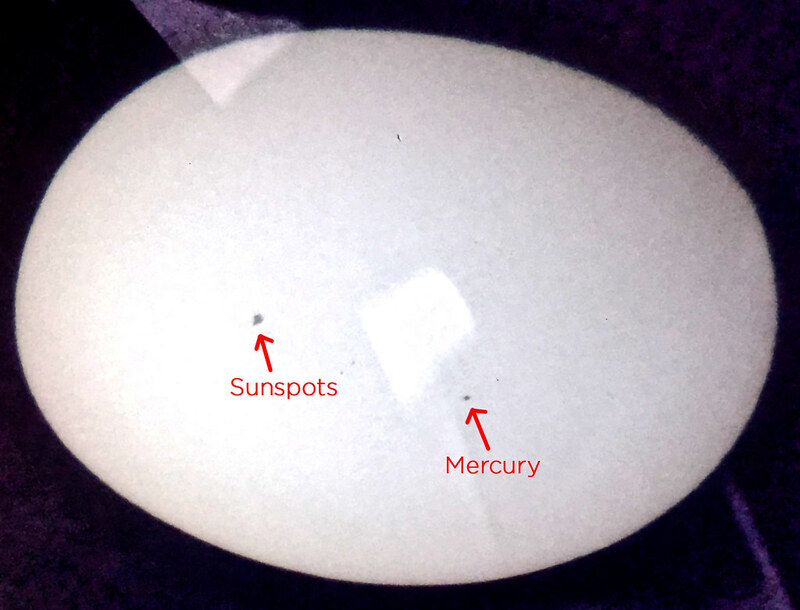 He started with a rig he and his son built for viewing sunspots, but somehow it wasn't quite working right. 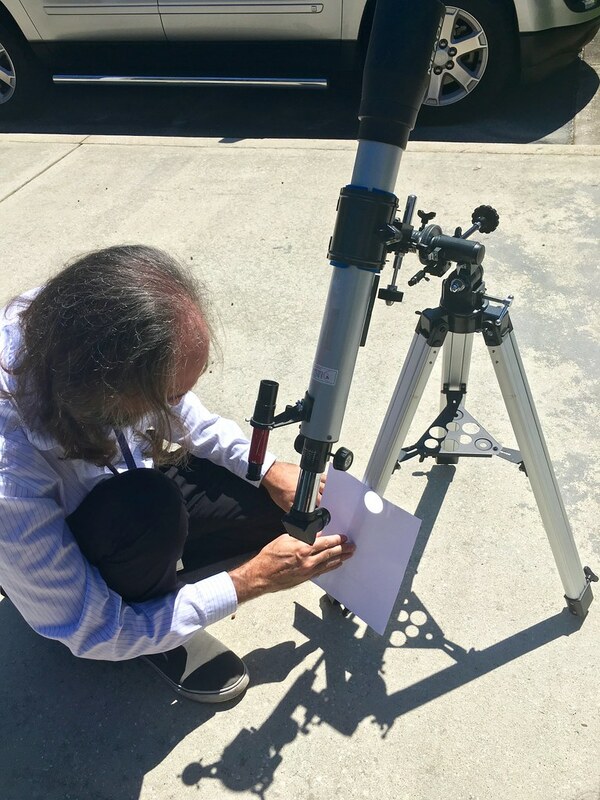 Instead, he simply turned the eyepiece lens toward a sheet of paper, and Mercury's silhouette immediately came into view.